The Jaffa railway station, in Hebrew התחנה, was one end of the 86 km rail line that joined Jaffa and its port to Jerusalem. The Tel Aviv municipality in partnership with private investors have invested approximately $1 million to renovate the complex, an area of 20 hectares (49 acres) which includes 22 buildings of 3 types, station, Arab and Templer buildings. The buildings were restored by a team of professional architects (Jaffa-based architects Eyal Ziv and Amnon Bar Or were responsible for the lengthy and meticulous restoration process), engineers and contractors, experts in their fields, in order to maintain its historical and architectural integrity and give visitors an authentic sense of the place. Having visited I can say enthusiastically that they’ve done a superb job. If only someone would do the same for the Jerusalem railway station at the other end of the line. It is easy to combine a visit with a guided tour of Jaffa or the original neighborhoods of Ahuzat Bayit and Neve Zedek that became Tel Aviv; another possibility is to take a guided tour of the White City of Tel Aviv – all tours that I would be happy to lead. 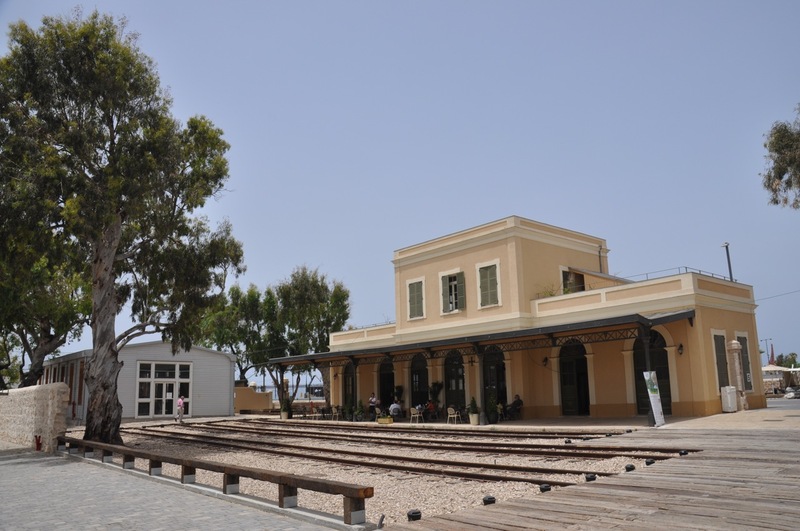 This station, located between the sea shore and the Neveh Zedek neighborhood, operated from 1892 to 1948. From the beginning, even though pilgrims, tourists and locals alike flocked to ride the train the railroad ran at a deficit and the trip took between 3 1/2 to 6 hours, allowing only one return trip a day. In A Practical Guide to Jerusalem and its Environs, a guidebook written around that time, the author wrote: “It requires only an ordinary amount of activity to jump out and pick the flowers along the line, and rejoin the train as it laboriously pants up the steep ascent — a feat I myself have occasionally performed.” Besides passengers, the train transported freight, by 1913, 43,000 tons annually passed through Jaffa station but only one way. The idea to build a railroad was first proposed in the 1830’s by British financier, banker and philanthropist Moses Montefiore, who was interested in developing modern industry in Israel, but ran into difficulties in relation to the transport of machinery and raw materials. It took more than 50 years until 1888 and a long process of entrepreneurship, vision and international politics, for the Turkish Sultan Abed el-Hamid to grant the concession to Joseph Navon from Jerusalem and Joseph Amzalak of Jaffa, backed by the Protestant banker Johannes Frutiger and the Greek Lebanese engineer George Franjieh. Unable to raise sufficient capital in Europe, Navon sold the license to a group of Catholic businessmen in Paris, who established the Société du Chemin de Fer Ottoman de Jaffa à Jérusalem et Prolongements. When in October 1890 the first locomotive a Baldwin 2-6-0 was tested on a short length of track at Jaffa, some 10,000 onlookers, half the population of Jaffa turned up to witness the event, such was the novelty. It took another two years to execute the immense railway construction project, laying narrow gauge track through the Judean mountains taking advantage of the deep, winding river bed of Soreq valley to mimize the steep grade and its completion heralded the beginning of the age of modern transportation in Israel. This entry was posted in Train on December 7, 2010 by Shmuel Browns. 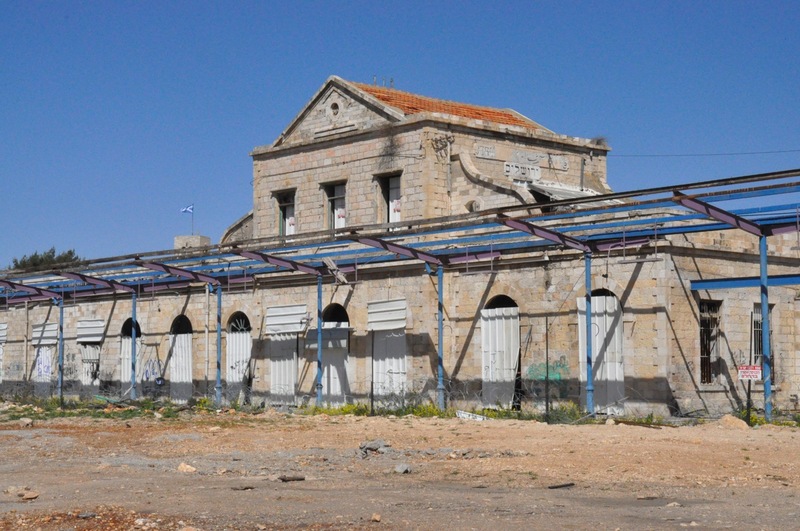 Work is progressing on the renovation by Israel Railways, Jerusalem municipality and Jerusalem Development Authority of the original Jerusalem train station to be completed in spring 2013. I am very glad to see that the Train Station was renovated and they are preserving history. I would like one day to visit it. I am very proud especially Joseph Navon, who is a descendant of our family, Joseph Amzalak of Jaffa, and banker Johannes Frutiger.